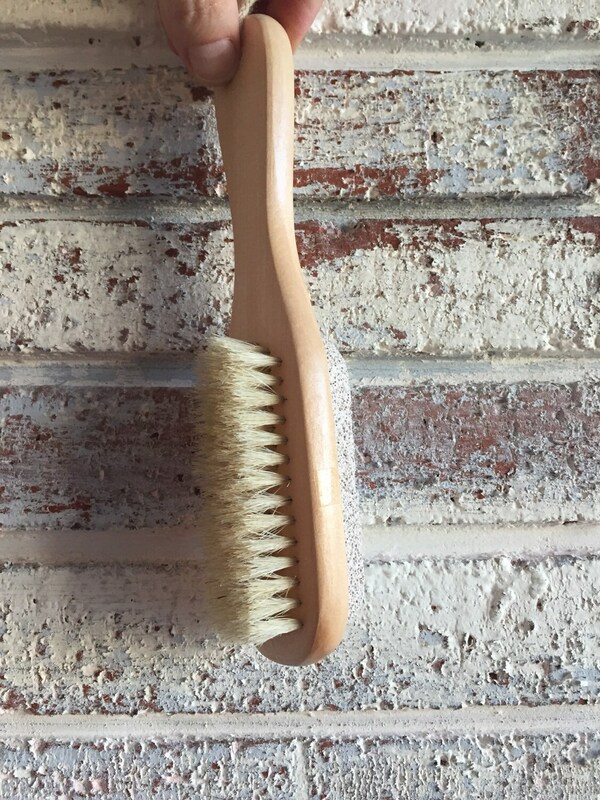 Wooden Pumice Brush.. a great "add on" to any gift basket or stocking stuffer.... perfect for guys & girls. 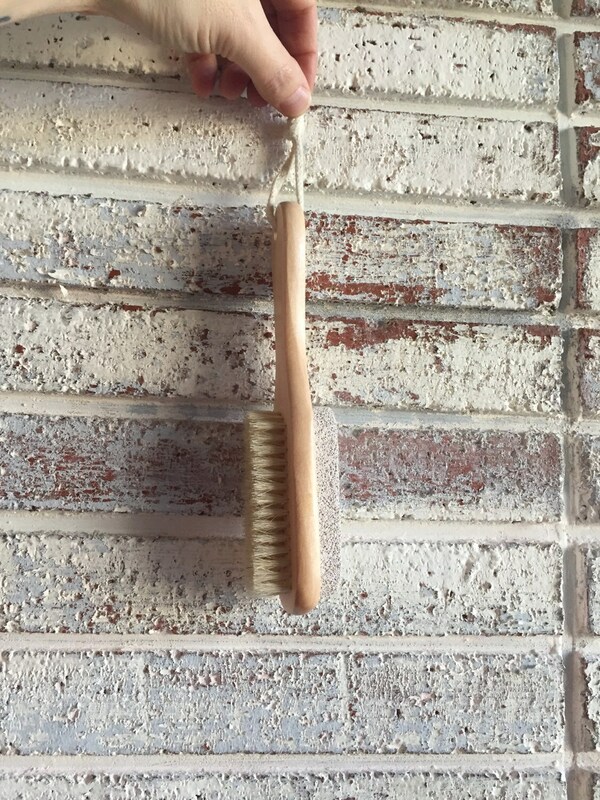 Natural Boar Bristled with Pumice Stone and cotton rope handle. Arrived on time. Eco friendly as well!! Love it. Fast shipping. Great product.